Franklin Roosevelt once said, "we have nothing to fear but fear itself." I am not nor ever have been a fan of Roosevelt since he is the father of much of the government dependency attitude that is plaguing our country now as The New Deal that actually lengthened the Great Depression has long standing tentacles of government dependency that have takne our country down a direction the Founders never intended for our free society. While I am not a fan of Roosevelt, Barack Obama is and has claimed to emulate the the thirty second President in his philosophy and policy. Yet Roosevelt, although a socialist in his policy did use the Bully Pulpit of the Oval Office as a platform to encourage Americans to stand with one another and not fear what we faced as a Nation but as he put it only, "fear itself." Obama does not see it Roosevelt's way. In fact he uses fear more blatantly than any of his liberal colleagues or predecessors as a way to garner votes, bribe duped supporters and create a fear of loss and class warfare like never before seen in a politician or a supposed leader of our country. I use the word leader very loosely when referring to Obama because leadership is a trait that he does not understand nor possess. A leader encourages rather than discourages. A leader unites rather than divide. A leader seeks to uplift those they lead rather than stifle them from succeeding. Obama knows only how to discourage, divide and stifle Americans by his policy and especially his words. In speech after speech Obama flat out lies with the full knowledge that what he is saying will create fear in those who still listen to him and anger toward those he is attacking creating an attitude of division and class warfare through fear and hatred. Telling Americans that if Republicans are elected in 2012 their children will no longer have clean air to breath. If his budget busting jobs bill is not passed police officers, teachers and construction workers will never work and crime will go up, children will no longer be educated and our entire Nations infrastructure will collapse is nothing more than fear for fears sake. When he was pushing what is known as Obamacare he whined that if it was not passed the poor would not get medical care, grandma would be kicked out of the nursing home, grandpa will die needlessly because he could not get the medical care he needed. Knowing all along that none of his lies of fear would take place but using the Office of the President as a means of scaring everyone into backing his socialized medicine and unconstitutional health care bill. One might ask, "why would a President of The United States want to create such fear in the American people?" We all know that the message of fear has always been a trait of the Democrat Party. Every election cycle Democrats always tell seniors that if they aren't elected Social Security will disappear. The poor always hear come election time that Democrats are the ONLY way the poor will be able to live and other such fear mongering lies. Obama has taken the usual Democrat fear tactics to a new level seeking to not only create fear in duped supporters but to anger them enough to rise even violently against the evil rich who Obama has chosen to vilify in his quest for reelection. The Occupy Wall Street movement is a direct result of Obama's fear mongering and anger building and we have seen the disgusting results and lunatic ramblings of those involved in it with Obama's backing. But setting aside the usual Democrat method of operation at election time and even Obama's taking it to a new level, this election cycle Obama is using fear as a means of garnering votes because he has NOTHING else. If he tells the truth about his record even duped supporters will see the light when faced with the overwhelming evidence of the complete and absolute failure of Obama as President and his policy of destruction for our country. Sure, no matter what he says there will still be some who will support him regardless because they are completely insane, but most with even an ounce of brain matter if faced with the absolute truth of the Obama failure and the vast majority of the pain that we are suffering as a Nation is a direct response to his policy, spending, debt creation and stifling of American business and the American worker, even the most blind eyes may begin to open and many more who worship at the Obama alter will jump ship and look elsewhere for a candidate. So his only option is to scare duped voters by creating such an atmosphere of fear that they will be afraid to NOT vote for him. Which is just another way of securing the duped as greater dependents on him, his policy and as a result the government. The anger he seeks to instill against the evil rich creates a separation of Americans who seek to be independent of government and those who blindly follow the socialized dependency to government making those who are independent and fulfilling the American dream and the intent of the Founders for our people, the object of hate, anger and perceived evil and responsible for all of Americas problems. 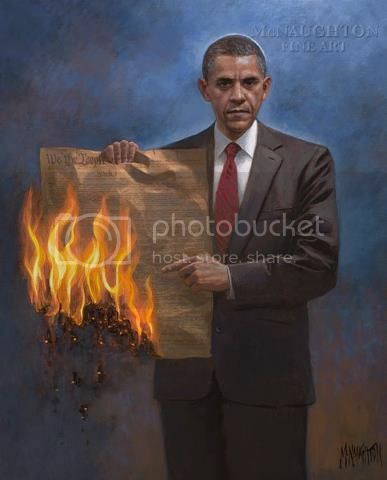 This is the goal of Obama, the direction he is taking as he seeks reelection and his complete campaign strategy for 2012. Divide by hate, encourage anger between fellow Americans, create fear to cause the duped to run to him and use all of this as the means to regain The White House so he can continue his path of destruction of American and the elimination of freedom and individuality this land. He could care less about the truth because the truth means his defeat. He could care less about the Constitution because the Constitution is an obstacle preventing him from reshaping America into his socialist image. He could care less about those in business who actually create jobs because they stand in the way of his goal of making all Americans completely dependent on government. This is the real Barack Obama and this is who we must defeat and who we will be fighting for the next year as he continues and yes, expands his crusade of fear and division to win reelection.